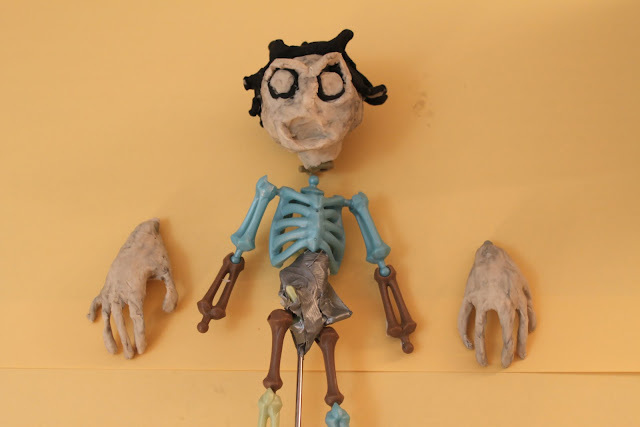 After snapping together these bones into functional skeletons, I added the physical features of the characters. For the head I balled up some tin foil to shape the basic form. I then coated the tin foil in plasticine clay. For the hands I used thin wire for the fingers, and then coated with clay.